Old Barn Rescue offers one-of-a-kind wall decor from up-cycled doors, windows, furniture and molding. You’ll find all kinds of wonderful, eco friendly decor in the upcycled home decor section of their website. The founders of Old Barn Rescue are always coming up with new wall graphic designs for their vinyl wall decal section, most of which are hand-drawn, making them unlike anything else out there. The vinyl wall graphics are hand-lettered and one-of-a-kind. Old Barn Rescue has so many options and styles for their wall graphics, it was hard to choose one for review! 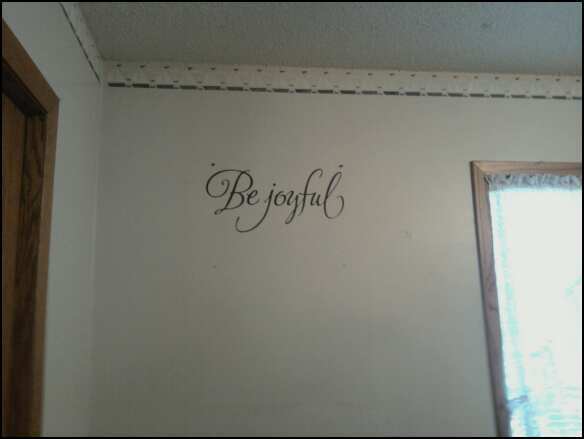 I finally decided on the decal "Be Joyful, Pray Continually, Give Thanks" decal in black to give to my mom for an early Christmas gift. Although this wall graphic looks beautiful with all of the phrases together like intended, we decided to cut the phrases apart so that we could each individual phrase in three different rooms of my parents' house. 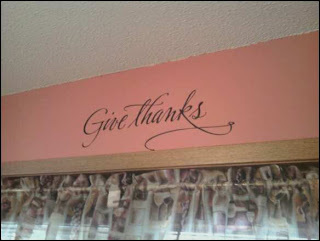 The vinyl words were large enough that the phrases looked great on their own and added a unique touch to each room. I put them all up by myself and found it to be really easy. The graphics came off the transfer paper without any problems and went on the walls smoothly. I was impressed with how well they were applied. 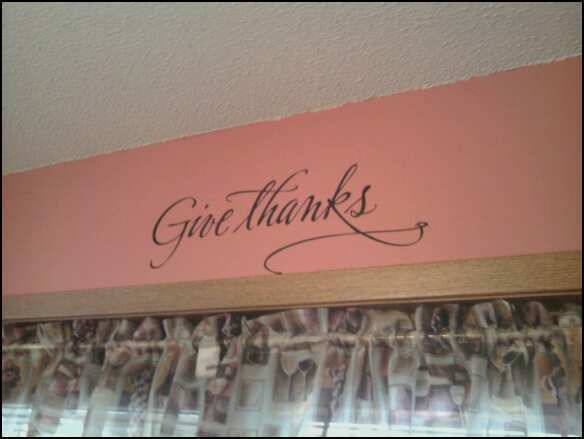 We decided to put the "Give Thanks" phrase in the dining room, and I love the way it looks and how much it added to the room. We put the "Be Joyful" decal in the guest room where the wall was bare, and it looks awesome since you can see it from the hallway. 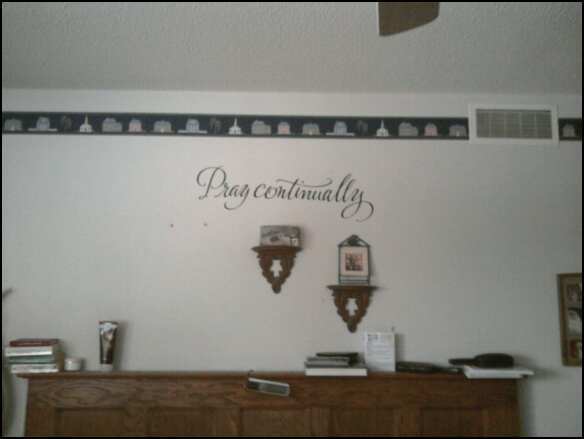 And then my mom wanted the "Pray Continually" phrase above their bed, which looks great too. My mom was very impressed with this wall graphic and she loved that she was able to make it her own by using the phrases separately. We also really liked the lettering of the wall graphics. Old Barn Rescue has so many great phrases and designs of wall decals - these make great gifts for weddings, new babies, housewarming gifts, or Christmas gifts! Win It: Enter here to win a wall graphic of your choice ($30 or under) from Old Barn Rescue! Mandatory Entry: Visit Old Barn Rescue, then come back here and leave a comment on this post, telling me which wall graphic you would choose if you win. 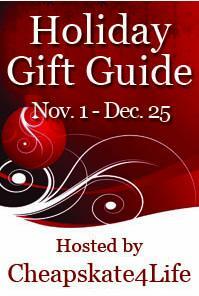 Contest Details: Giveaway will end on Saturday, November 27 at 11:59 p.m. 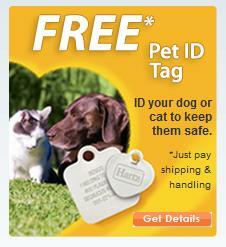 US residents only. Winner will be drawn via number generator Random.org. Winner will be contacted by email and will have 48 hours to reply before a new winner is chosen. I like the Write Your Troubles in the sand one!